“Puffer coats make me look slim”, said no one ever. Winter coats are necessary, warm and usually wide. Now that March is here the outerwear options expand instead of your appearance! Leather jackets layered underneath with cashmere sweaters, scarves and long sleevers allow for a new rotation in the closet – YAHOOOOZIES! This entry was posted in accessories, Architecture, Boots, Boston fashion, Boston suburb fashion, children, Cold Weather, Fall Fashion Trends, Fashion, Fashion blog, Footwear Trends, Media, mommy fashion, Shoes, Shopping, Spring Fashion Trends, suburbs, Technology, Trending, Trends, Uncategorized and tagged boston fashion blog, Boston fashion blogger, brown leather jacket, California, cropped leather jacket, Facebook, Fashion, fashion blog, fashion blogger, fashion editor, Hunter boots, Instagram, Italy, leather jacket, Lucky, Lucky magazine, March madness, Milano, mom fashion blog, mom fashion blogger, mommy blog, mommy blogger, MOTHER denim, Patch.com, Prada, rain boots, Ray Ban, Rick Owens, rocketshell.com, skinny jeans, style editor, suburban fashion blog, suburban fashion blogger, Twitter, Winter fashion by reversecommuter. Bookmark the permalink. Wow, look at all that snow! The PNW got none this year. 😦 I want your Rick Owens jacket! So cute. Thanks Joy – it is one of my faves. The snow in Boston is STILL completely out of control! And the cold is beyond comment!!!! ARGH!!!!!!!!!!!! Rick Owens love!!!! Some snow please! Ugh – too much snow. 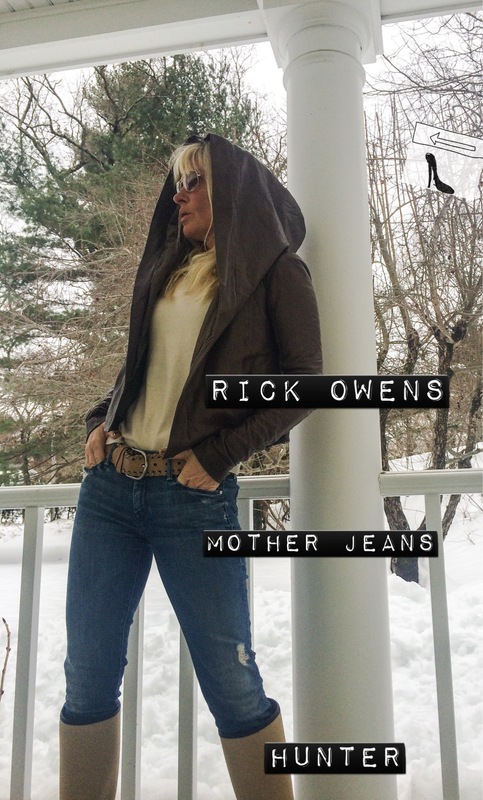 Yes, love Rick Owens everything!!!!!! 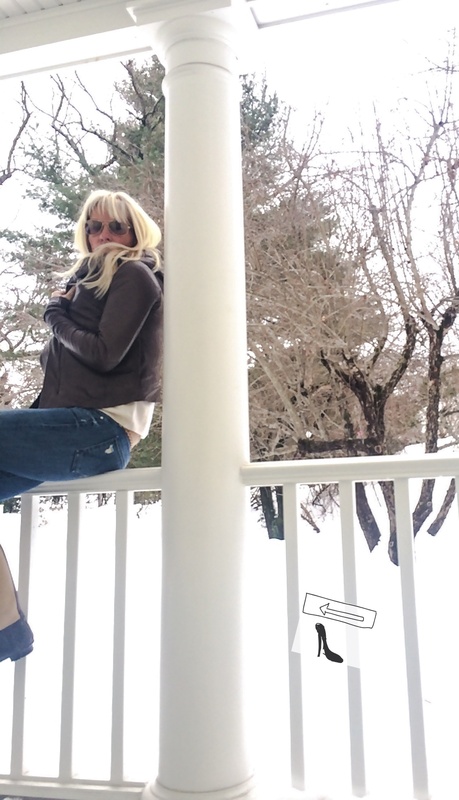 LOVE the Hunter boots…….LOVE the long black boots in the first snow pic……what are they????? And thank you for such an amazingly gorgeous compliment! !